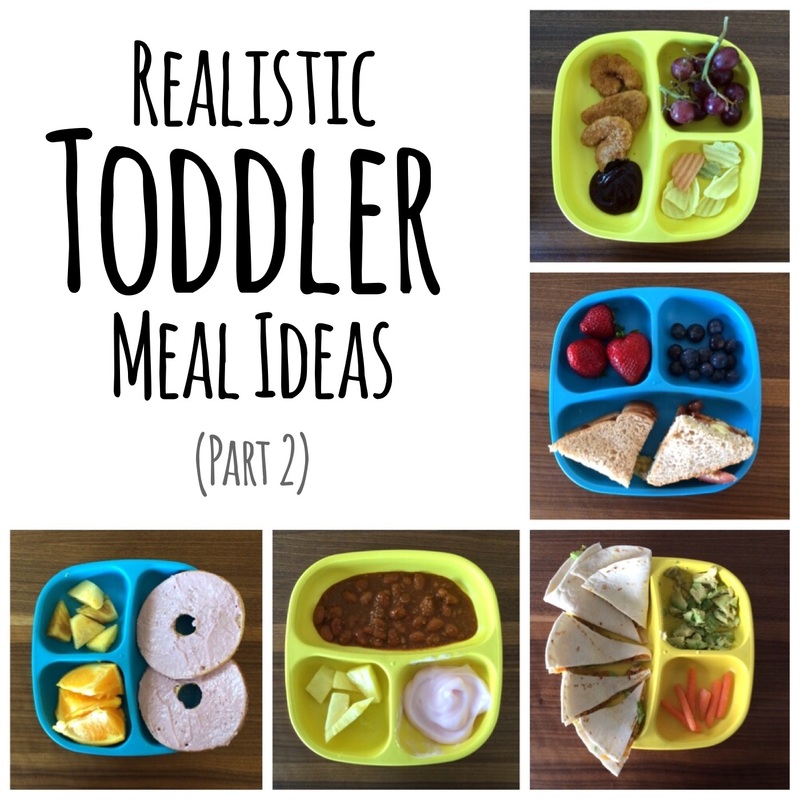 I don’t know about you, but sometimes I see the fancy meal ideas for toddlers on Pinterest and I’m like “um… yeah… that’ll never happen for me”. But alas, the kid still needs to eat. 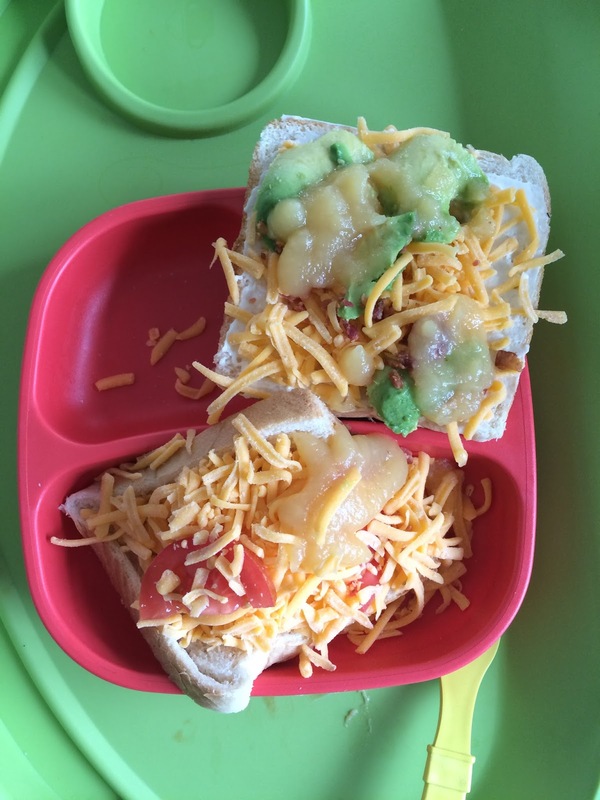 This isn’t everything he eats but these are a few of my favorite go-to meals for my two-year-old who eats a TON. Click here for part one that I did when he was one! 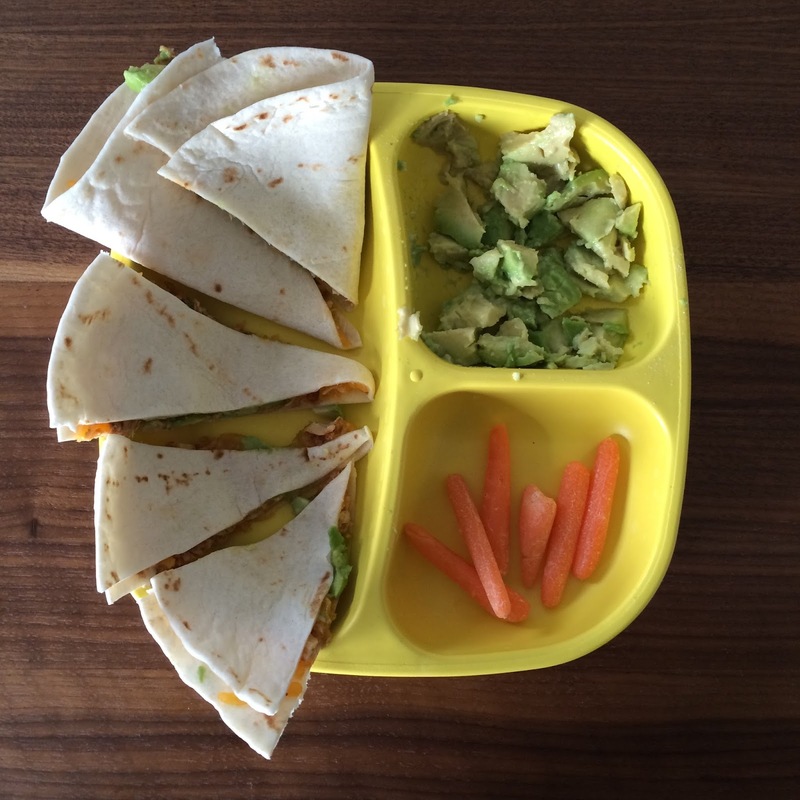 Quesadilla with Veggies: Carrots are “crunchy candy” at our house! If I don’t call them candy he won’t eat them! 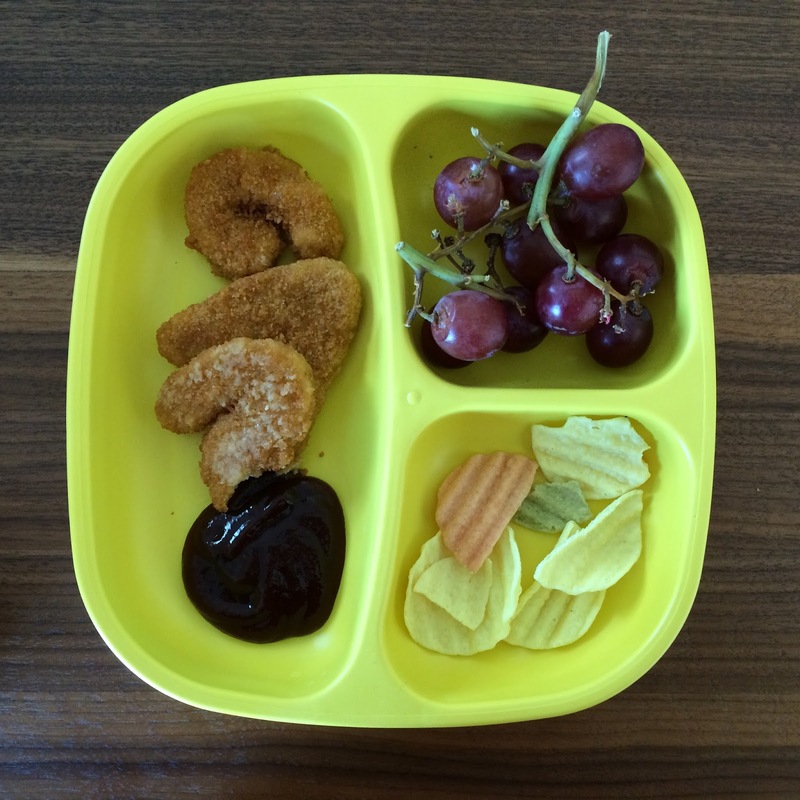 Chicken Nuggets with Veggie Chips and Fruit: He loves getting to pull the grapes right off the vine. Veggie chips at least make me feel like they’re a little healthy! 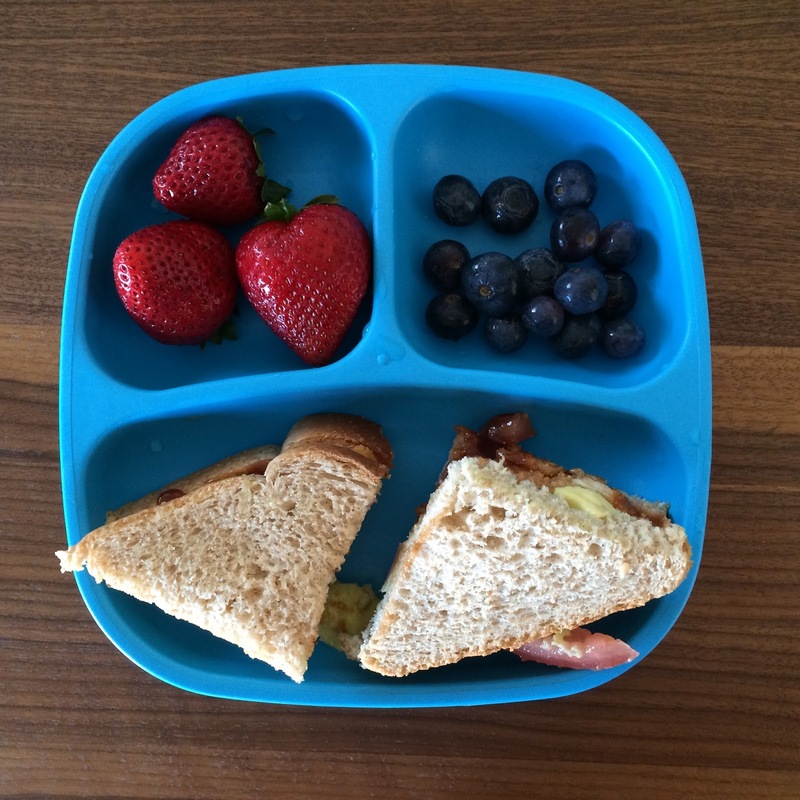 Sandwiches and Fruit: He won’t always eat the sandwich but when he does it’s a happy healthy day!! 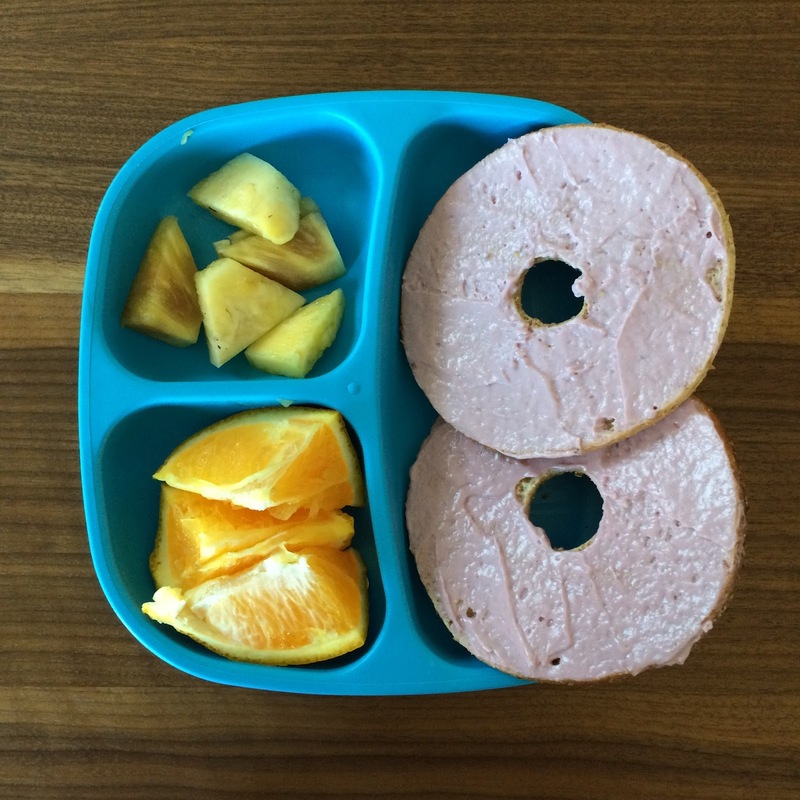 Bagel Thins and Fruit: Bagel thins are way easier for him to eat than regular sized bagels and they make a really quick lunch in a pinch! 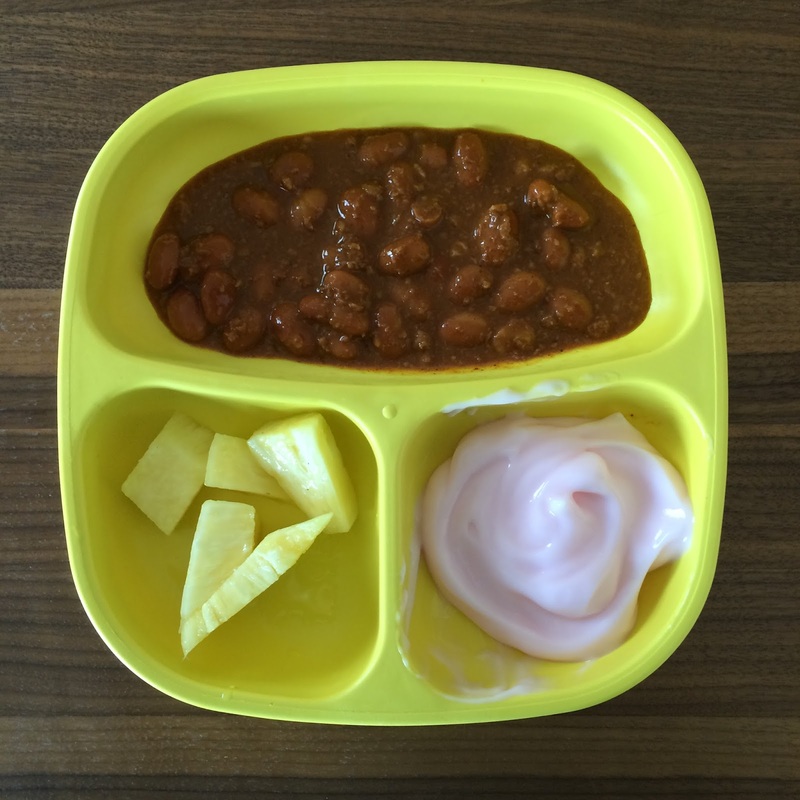 Chili, Fruit, and Yogurt: Yes, this is canned chili my friends! I warned you, these are realistic, not organic! Sometimes you’ve just had a baby and groceries are the last thing on your long list of impossible things to do am I right?? I hope this gives you some ideas! Feel free to share your go to meals with me too! I hate to be that person, but whole grapes and blueberries are a choking hazard until at least age 5.